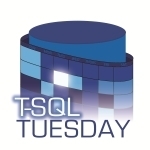 Here we are with another T-SQL Tuesday and time for my entry into the fray. This month we are talking about indexes. This is great timing because I’ve been meaning to write about indexes for a while. A few months back I had outlined a number of articles I wanted to write and have been kind of pushing them around while working on other posts and projects. But now I need to write a post on indexing. Instead of actually providing some meat on indexing, I am going to provide an index on some indexing posts I wrote last year. And then follow that up with some posts that I’ll be publishing in the next couple weeks. After those are done, I’ll go back to the index analysis query that was part of the original index posts. That information will be incorporated into the query along with some other changes. Hopefully you’ve found some useful indexing information in the existing posts. And then find more in the upcoming posts.